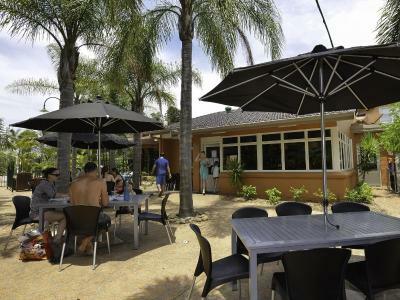 Lock in a great price for NRMA Ocean Beach Holiday Resort – rated 8.8 by recent guests! Coffee at cafe was surprisingly good; pools/jumping pillows/waterpark were all great; distance to beach was good; cabin/villa with aircon was nice. My kids had the best time, it was great that they could swim in the middle of winter. 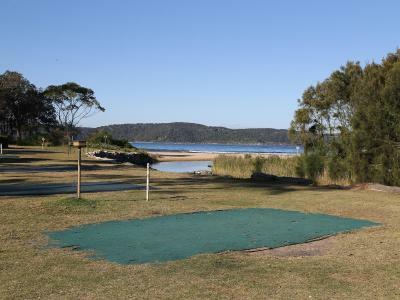 The park, beach and cafes are fantastic and close by with shopping centres only a short drive. Will definitely go back again. Great location, excellent facilities. Kids were in heaven with all the activities available. Accommodation was cute and comfortable. This was just an overnight stop for us on way home from the snowies but we would love to plan a trip back just to stay here. we absolutely loved our short time here. Wish we booked for longer. We will def be returning. Great location and resort style heated pool (a big bonus!!) and lovely big spa! Our cabin was lovely and clean. The customer service was fantastic too! Large spacious room. Very family friendly. Close to beach. Perfect venue for families. We had 25 family members staying in different types of accomodation to celebrate my 60th Birthday. Great for kids - they had a wonderful time without being on technology. So much for them to do. Very close to beach which is beautiful. Loved it! 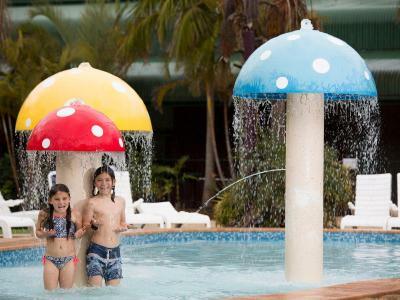 Very family friendly, great facilities, beach is right in front of your doorstep many fun activities for children and very close to shops & amenities. Everything was fabulous. The best camp site I've ever stayed at. Clean and well maintained. 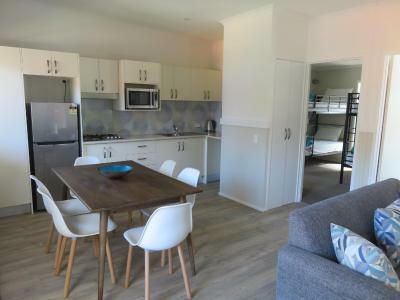 NRMA Ocean Beach Holiday Resort This rating is a reflection of how the property compares to the industry standard when it comes to price, facilities and services available. It's based on a self-evaluation by the property. Use this rating to help choose your stay! 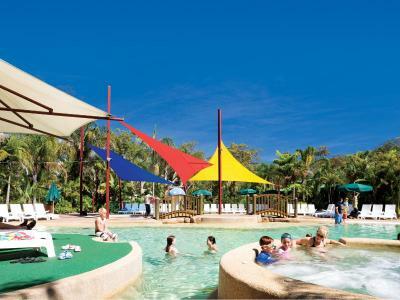 Boasting an beautiful beachfront location, NRMA Ocean Beach Holiday Resort features heated resort pools and spas. 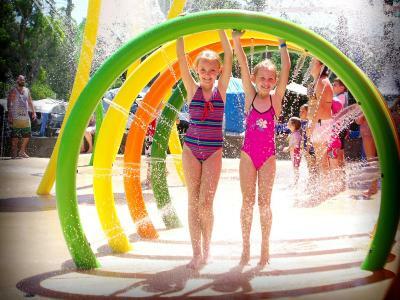 Guests can enjoy access to a water park, playground, go-karts and kids' activities. Free WiFi access is available. 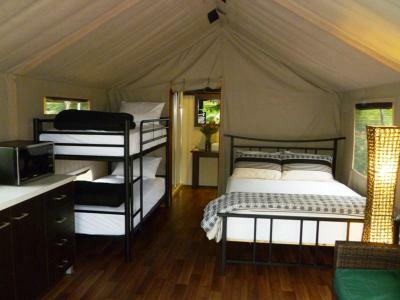 Accommodations options consist of self-contained villas, bungalows, and permanent tents. 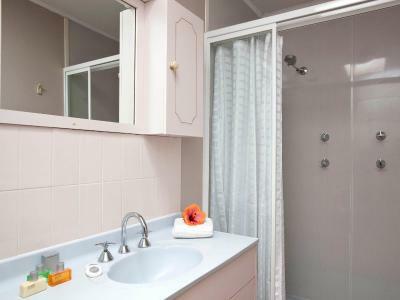 All rooms offer a private bathroom, a patio, and a flat-screen TV. There is a microwave, and a refrigerator. 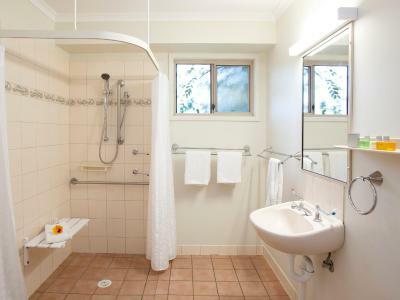 Towels and linen are provided. 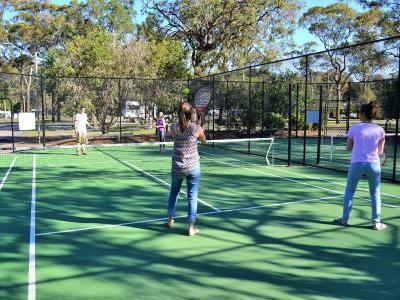 Additional on-site facilities at Ocean Beach Holiday Resort include free parking, a cafe, camp kitchen and BBQ areas. 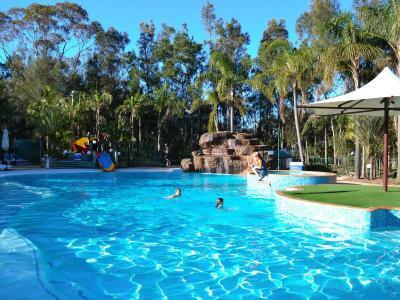 NRMA Ocean Beach Holiday Resort is surrounded by Brisbane Water National Park. 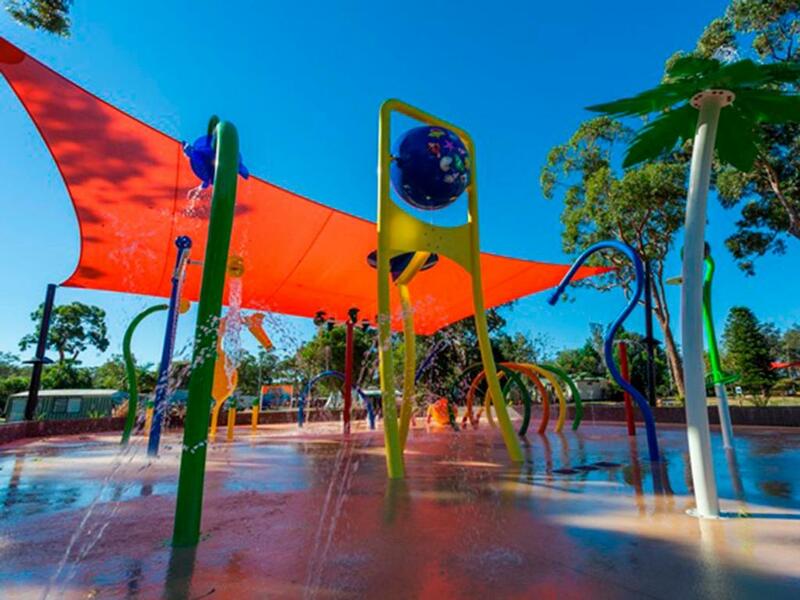 It is 25 minutes’ drive from Australian Reptile Park and 30 minutes’ drive from Peats Ridge Horse Riding. Sydney CBD is a 1.5-hour drive away. 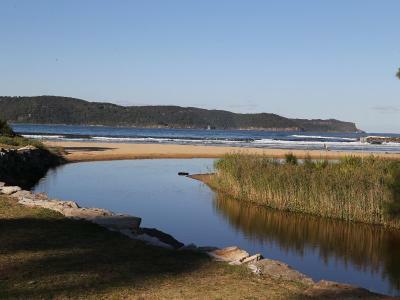 This property also has one of the top-rated locations in Umina! Guests are happier about it compared to other properties in the area. 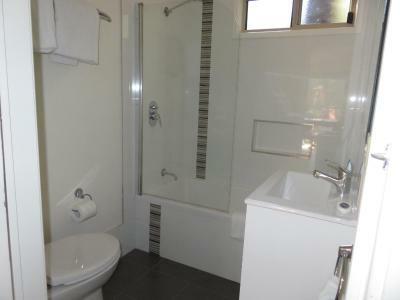 This property is also rated for the best value in Umina! Guests are getting more for their money when compared to other properties in this city. 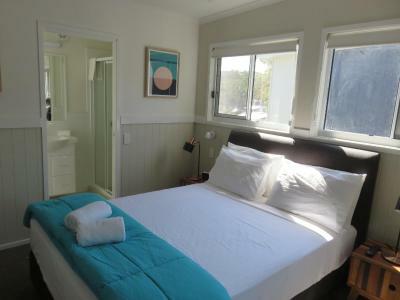 When would you like to stay at NRMA Ocean Beach Holiday Resort? Overlooking the ocean, this accessible villa has 2 queen-sized beds and 2 single bunk beds. It also includes air-conditioning, heating and a fully equipped kitchen with a stove top, dishwasher, convection microwave and a refrigerator. There is a dining area, a washing machine, a bathroom with a spa bath and a veranda with outdoor furniture, dining area and gas BBQ. The seating area has a sofa, TV, cable channels and a DVD player. This villa has ramp access. Located overlooking the ocean and close to facilities, including the water park and barbecue area, this villa includes 2 queen-sized beds and 2 single bunk beds. It also includes air-conditioning, heating and a fully equipped kitchen with a stove top, dishwasher, convection microwave and a refrigerator. There is a dining area, a washing machine, a bathroom with a spa bath and a veranda with outdoor furniture, dining area and gas BBQ. The seating area has a sofa, TV, cable channels and a DVD player. This villa has ramp access. Overlooking the ocean and garden, this 2-story townhouse has 1 queen-sized bed, 1 single-sized bed and 1 single bunk bed. It also includes air-conditioning, heating and a fully equipped kitchen with an oven, stove top, dishwasher, microwave and a refrigerator. There is a dining area, a washing machine, a bathroom with a spa bath and a veranda with outdoor furniture and a dining area. The seating area has a sofa, TV, cable channels and a DVD player. Located overlooking the garden and close to park facilities, including amenities, recreation room, pool, cafe and tennis courts, this cottage includes 1 queen-sized bed and 2 single-sized beds. It also includes air-conditioning, heating and a fully equipped kitchen with a stove top, dishwasher, convection microwave and a refrigerator. 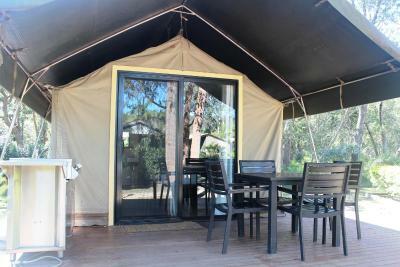 There is a dining area, a bathroom and a veranda with outdoor furniture and a dining area. The seating area has a sofa, TV, cable channels and a DVD player. 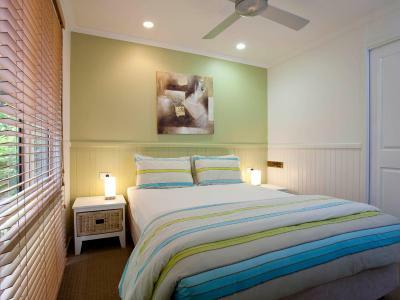 Located close to barbecue facilities, this garden view villa has 1 queen-sized bed and 2 single bunk beds. It also includes air-conditioning, heating and a fully equipped kitchen with a stove top, convection microwave and a refrigerator. 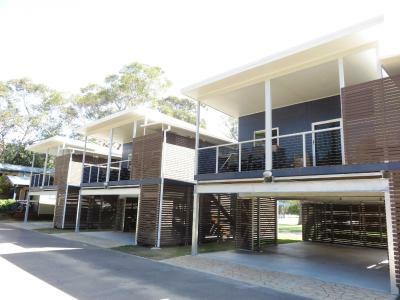 There is a dining area, a bathroom and a veranda with outdoor furniture and a dining area. The seating area has a sofa, TV, cable channels and a DVD player. Located overlooking the gardens, this villa has 1 queen-sized bed, 1 single-sized bed and 1 single bunk bed. It also includes air-conditioning, heating and a kitchen with a stove top, convection microwave and a refrigerator. There is a dining area and a bathroom with a spa bath. 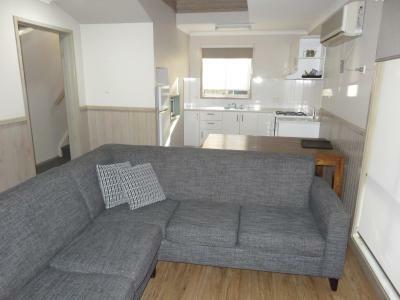 A washing machine, a veranda with outdoor furniture and dining area and a seating area with a sofa, TV, cable channels and DVD player are included. 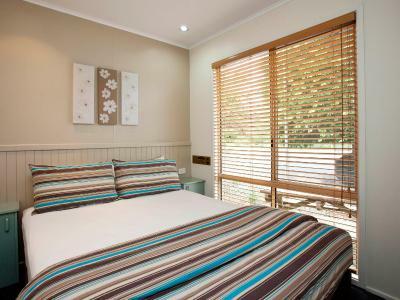 Located close to park facilities, including amenities, pool, barbecue area and cafe, this garden view cottage includes 1 queen-sized bed and 2 single bunk beds. It also includes air-conditioning, heating and a kitchen with a stove top, convection microwave and a refrigerator. There is a dining area and a bathroom with a half bath. A veranda with outdoor furniture and dining area and a seating area with a sofa, TV, cable channels and DVD player are included. 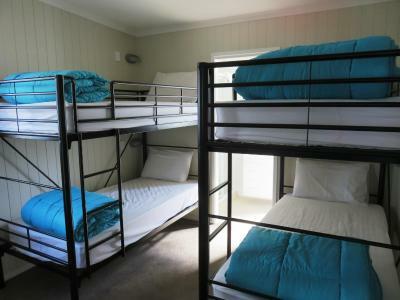 Located close to park facilities, including a playground, camp kitchen, amenities, pool and water park, this garden view cabin includes 1 queen-sized bed and 2 single bunk beds. 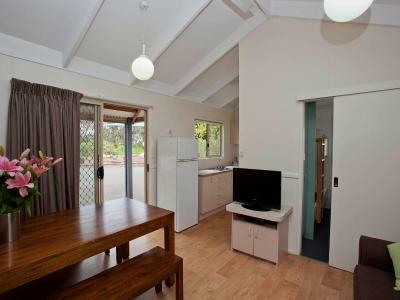 It also includes air-conditioning, heating and a kitchen with a stove top, oven, microwave and a refrigerator. There is a dining area and a bathroom with a bath. A veranda with outdoor furniture and dining area and a seating area with a sofa, TV, cable channels and DVD player are included. Located overlooking the garden and located close to park facilities including the pool and barbecue area, this villa includes 1 queen-sized bed, 1 single bunk bed and 1 single top bunk bed. It also includes air-conditioning, heating and a kitchen with a stove top, oven, microwave and a refrigerator. There is a dining area and a bathroom with a bath. A veranda with outdoor furniture and dining area and a seating area with a sofa, TV, cable channels and DVD player are included. 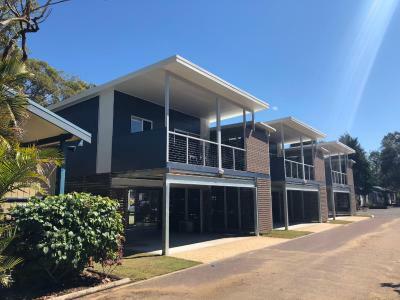 Located overlooking the garden and located close to park facilities including the pool and barbecue area, this loft includes 1 queen-sized bed and 2 single bunk beds. It also includes air-conditioning, heating and a kitchen with a stove top, dishwasher, oven, microwave and a refrigerator. There is a dining area and a bathroom with a bath. A veranda with outdoor furniture and dining area and a seating area with a sofa, TV, cable channels and DVD player are included. 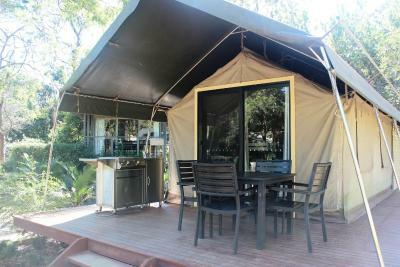 Overlooking the garden, this safari ten includes 1 queen-sized bed and 1 single bunk bed. 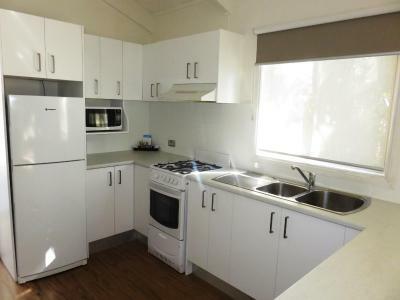 It also includes a kitchenette with a microwave and a refrigerator. There is a bathroom, a veranda with a barbecue, outdoor furniture and a dining area as well as a seating area with a TV, cable channels, a sofa and a DVD player. This garden view villa includes 1 queen-sized bed, 1 single bunk bed and 1 single top bunk bed. It also includes air-conditioning, heating and a fully equipped kitchen with a stove top, microwave, oven and a refrigerator. There is a dining area, a bathroom with a bath, a veranda with outdoor furniture and dining area and a seating area with a sofa, TV, cable channels and a DVD player. Located overlooking the garden and close to park facilities, including amenities, recreation room, pool, cafe and tennis courts, this villa includes 1 queen-sized bed and 2 single-sized beds. It also includes air-conditioning, heating and a fully equipped kitchen with a stove top, dishwasher, convection microwave and a refrigerator. There is a dining area, a bathroom and a veranda with outdoor furniture and a dining area. The seating area has a sofa, TV, cable channels and a DVD player. Overlooking the garden, this fully accessible plantation villa includes 2 queen-sized beds and 2 single-sized beds. It also includes air-conditioning, heating and a fully equipped kitchen with a stove top, convection microwave, dishwasher and a refrigerator. There is a dining area, accessible bathroom, a veranda with outdoor furniture and a dining area and a seating area with a sofa, TV, cable channels and a DVD player. Located close to park facilities, including amenities, recreation room, pool and cafe, this villa includes 1 queen-sized bed and 2 single-sized beds. It also includes air-conditioning, heating and a fully equipped kitchen with a stove top, oven, dishwasher, convection microwave and a refrigerator. 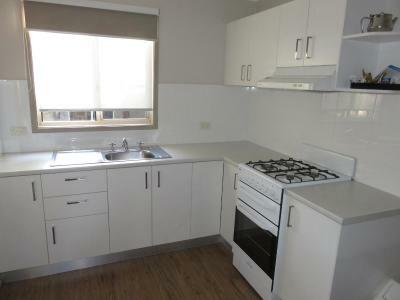 There is a dining area, a bathroom, washing machine, tumble dryer and a veranda with outdoor furniture and a dining area. The seating area has a sofa, TV, cable channels and a DVD player. 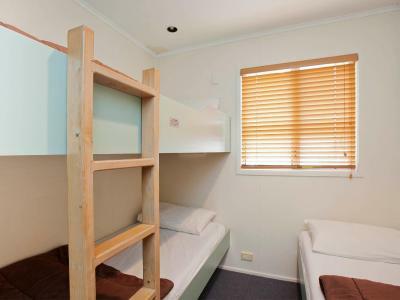 Located close to park facilities, including amenities, playground, camp kitchen, pool and water park, this garden view cabin includes 1 queen-sized bed, 1 single-sized bed and 1 single bunk bed. It also includes air-conditioning, heating and a fully equipped kitchen with a stove top, oven, microwave and a refrigerator. There is a dining area, a bathroom with a bath and a veranda with outdoor furniture and a dining area. The seating area has a sofa, TV, cable channels and a DVD player. 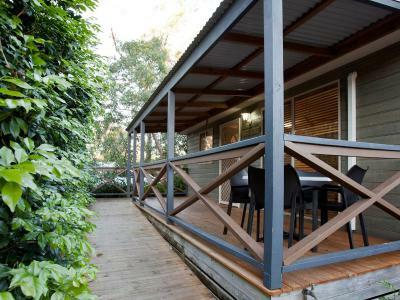 Located close to park facilities, including the barbecue area and amenities, this garden view cottage includes 1 queen-sized bed and 2 single bunk beds.. It also includes air-conditioning, heating and a fully equipped kitchen with a stove top, convection microwave, dishwasher and a refrigerator. 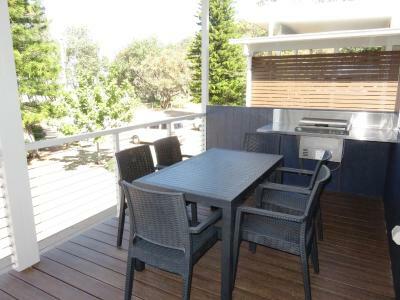 There is a dining area, a bathroom and a veranda with outdoor furniture and a dining area. The seating area has a sofa, TV, cable channels and a DVD player. Fully accessible villa overlooking the garden. 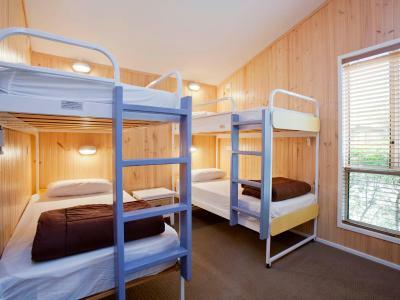 It has one queen bed, one single bunk and one single bunk with only top bed. 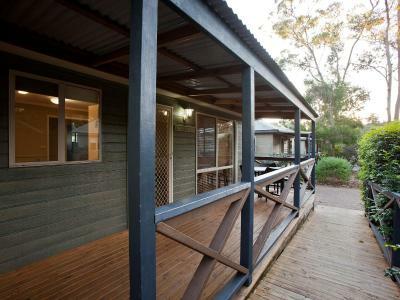 Features air-conditioning; heating and a kitchen including stovetop, dishwasher, oven, microwave and fridge. 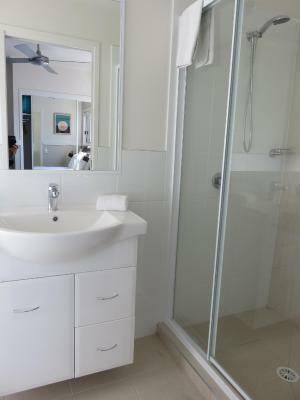 It has a private bathroom and veranda including outdoor furniture and dining area. The seating area has a DVD player and TV with cable channels. Located overlooking the ocean and close to facilities, this villa includes 1 queen bed and 2 single bunk bed. It also includes air-conditioning, heating and a full kitchen with stove top, convection microwave, refrigerator and dishwasher. 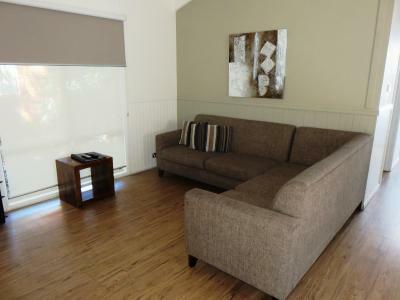 There is a lounge and dining area, TV, limited cable channels and a DVD player. 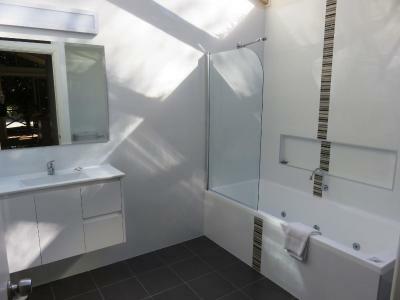 There are 2 bathrooms, a washing machine, veranda, private gas BBQ, outdoor furniture and dining area. This is a powered site suitable for a tent. 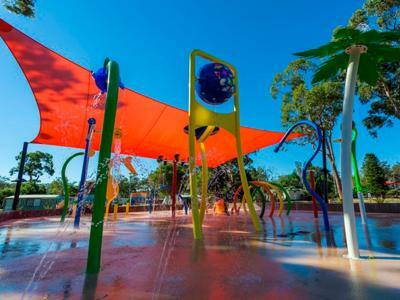 It is located close to bathroom facilities, the water park, barbecue area, swimming pool and camp kitchen. Please note that there is no tent provided. Guests will need to bring their own tent. Please note that both mat and crushed granite slab sites are available. Sites will be randomly allocated. This is a powered grass site with some mat and crushed granite slab sites available. 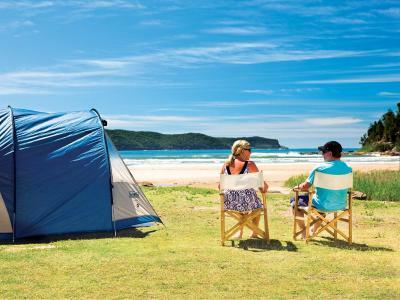 It is suitable for a caravan, motor-home, camper-van or a tent. 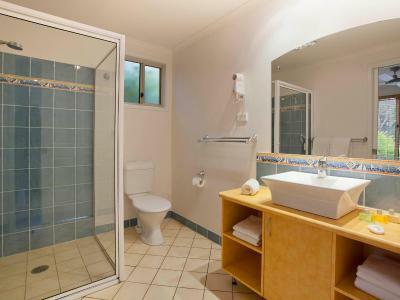 It is located close to bathroom facilities, swimming pool. and camp kitchen. Please note that no caravan is provided. Sites will be randomly allocated. 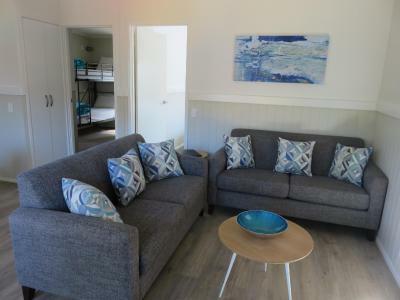 House Rules NRMA Ocean Beach Holiday Resort takes special requests – add in the next step! NRMA Ocean Beach Holiday Resort accepts these cards and reserves the right to temporarily hold an amount prior to arrival. Please note that private parking is provided for 1 regular vehicle per room. Visitors parking is not available on-site. Please inform NRMA Ocean Beach Holiday Resort of your expected arrival time in advance. You can use the Special Requests box when booking, or contact the property directly using the contact details in your confirmation.